Congratulations to the Ohio Legends on getting to the NATIONAL CHAMPIONSHIP! The Mission of the The Ohio Legends Football team is focused on 3 areas. Being an asset to our surrounding community, providing a live family friendly football experience to our fans, and winning football games the right way. 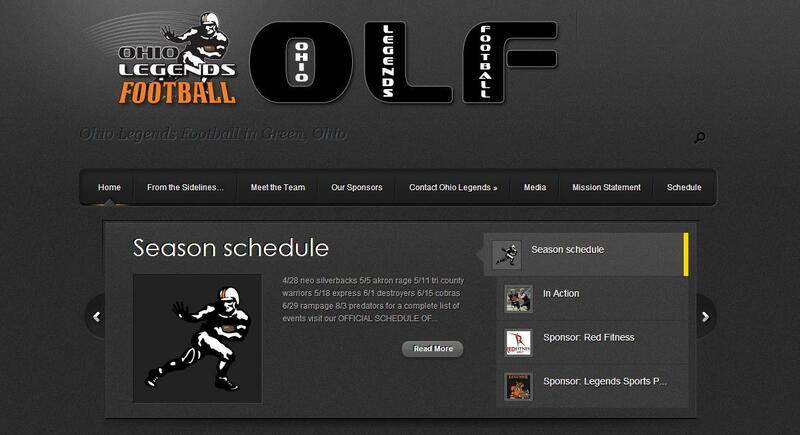 It is the goal of The Ohio Legends Football Team to put a winning product on the field and do so the old fashion way. The Ohio Legends Football Team is made up of Semi Professional Football Players from all walks of life. We have Former NFL Players and some players striving to get onto the big stage that the National Football League, Canadian Football League, and others can provide. Our Talent is top notch and fun to watch. Many of our players have had successful College careers at prestigious universities throughout the country and here in Ohio. Some of our players are great local talent that missed a college opportunity due to injuries or other unfortunate events and they are here with us striving for the recognition necessary to prove they are now ready to get back on track at a top college. The one thing that all Ohio Legends Football players have in common is a PASSION FOR THE GAME THAT IS UNMATCHED. All of our players are here because of their talent of course. But just talent is not enough. All current players MUST display a desire to exhibit exemplary character and an unbridled passion for the game. Proper character and representation of The Ohio Legends Football Team and our community is our greatest concern. Anybody can play football…some can play at a high level…but only special players can play like a LEGEND!